All aboard the Fortnite train! 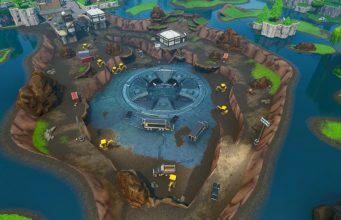 This new Fortnite concept would add a train to the map which would surely help with getting across the map quickly. 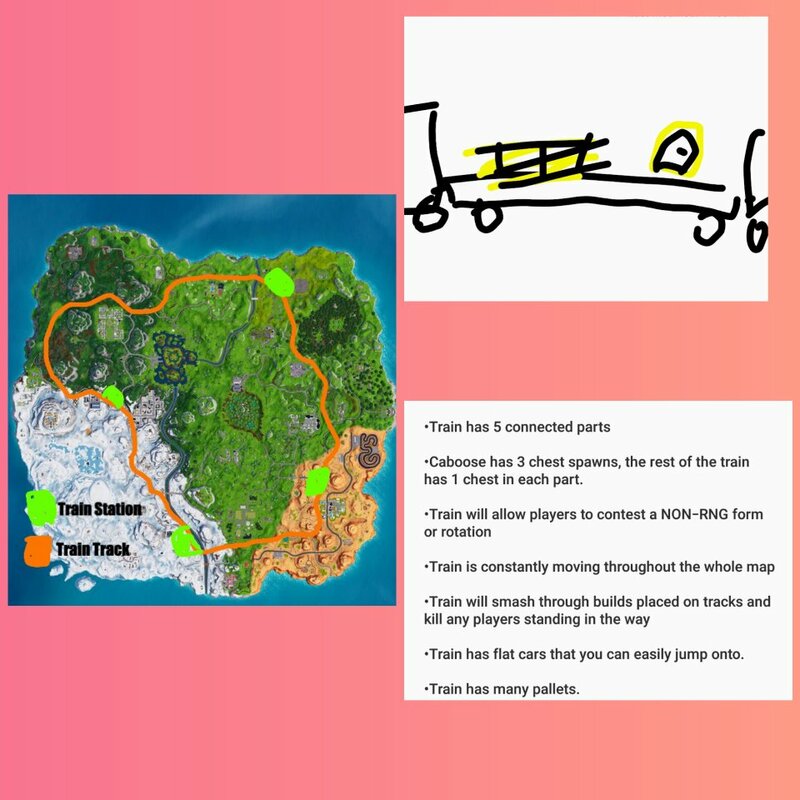 This concept was created by Reddit user NOJHD and showcased a train track that circled the map with an unstoppable train riddled with chests and also a way to travel the world. The concept says the caboose of the train will have three chest spawn while the rest of the parts have one chest each. In the Reddit post, the creator asks people to excuse the drawing but to look more at the concept itself. The train will constantly be in motion and there are four different stations in different sections of the map where players will be able to board. On top of never stopping, it will be indestructible and plow through any creation placed on the tracks themselves. This concept also says it will have many pallets on board making it an excellent source of wood. With vehicles such as planes and quads in the game now it doesn’t seem like Fortnite and Epic Games would be totally against the idea of adding a train to the game. 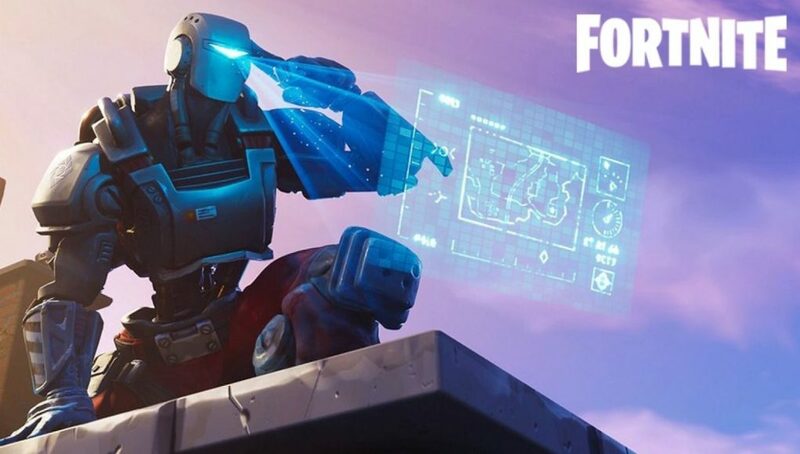 It’s an idea that has a lot of positives, but is more mobility something Fortnite really needs? What do you think of this concept? Let us know in the comments below.